New Orleans Community benefit agreements have increasingly become part of the conversation in cities throughout the country when it comes to major developments at the intersection of private interest and public authority, regulations, and landholding. Few large cities under assault from major and minor sports interests to support stadium projects have not found themselves engaging in negotiations around community benefit agreements for example. There are other opportunities though, as we discussed with Enid Eckstein on a recent Wade’s World radio interview that was triggered by her article in Shelterforce advocating for community benefit agreements with hospitals, particularly nonprofits. Eckstein knows the healthcare industry well, both inside and out. She was an officer in SEIU’s giant healthcare local, 1199, based in Boston, and more recently has been a researcher and advocate focusing on the role of hospitals and healthcare in communities. The notion of community benefit agreements or CBAs has gained a lot of traction in Massachusetts in no small part, Eckstein argued, because of aggressive work by the Attorney General of the state in stepping up to regulate and codify the requirements under Massachusetts law that hospitals provide community benefits that were something other than developments of their own programs and self-interest, whether expanding a clinic or marketing their services. Massachusetts is pathbreaking in this area, partially because they were a leader in providing mandatory health care in the state that was an inspiration for the Affordable Care Act. The ACA also sets the stage for activity in this area because it requires that hospitals do a community assessment survey of health needs every three years, and mandates that the assessment integrate the community itself into the process. The amendments offered by Senator Chuck Grassley (R-IA) put the Internal Revenue Service in this play because of his concern that nonprofit, tax exempt hospitals need to prove that they were providing charity care and if not, the IRS should pull their exemption. The IRS has only recently begun enforcing some of the ACA regulations on penalties for smaller businesses not providing insurance for their workers, so it is unlikely that they are doing much in this area yet either. 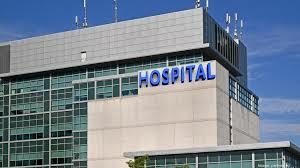 Nonetheless, as Eckstein argues from the Massachusetts experience the opportunity is there for organizations of all shapes and sizes to start pushing hospitals to do right and do more. And, why not? One of the most compelling examples she offered in her Shelterforce piece occurred in Portland, Oregon, which like so many cities nationally, is facing an affordable housing crisis. As part of a hospital CBA, $21 million was set aside by the hospital to build affordable housing and that leveraged almost $70 million for the project. Now is the time to start pressing everywhere for hospitals to open up the doors to community organizations and others to be part of their required community assessment process. Once in the door, we all need to press for real community benefit agreements while we have the opportunity. This entry was posted in Citizen Wealth, Financial Justice, Health Care and tagged CBA, community benefits agreements, hospitals, portland oregon by Wade. Bookmark the permalink.